Hiking in nature allows us to enjoy the magnificent scenery or to get a coveted destination. But if we want to understand better what surrounds us, the environment can reveal us many secrets, telling ancient stories that have influenced landforms, vegetation and fauna that we see today around us. The discovery of a territory in which live thousands of forms of life, often well hidden to our senses, is always a source of strong emotions. Would you like to travel for birdwatching and to discover different landscapes, environments and cultures? During the trips that I organize the interests in ornithological and nature aspects is always accompanied by cultural curiosity and the understanding of how human activities have had an influence on the environments and species, as well as they have been affected. Everything in nature is part of a neverending story. If you really want to live exciting experiences, please contact me or visit the calendar of events. Hiking in the Alpi Marittime National Park is a stunning way to experience a less visited part of the Alps. The proximity to the ocean creates hikes with snow-capped mountains, dewy pastures, and fresh sea air. 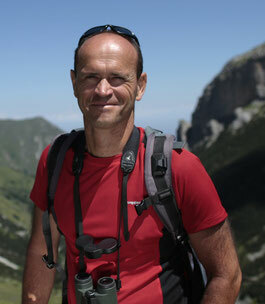 The hiking in The Alpi Marittime is world class. 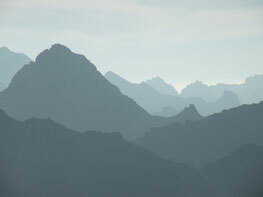 Would you have more information about the best 10 Hikes in Alpi Marittime? Check out our 10 Best Alpi Marittime hikes for more info! 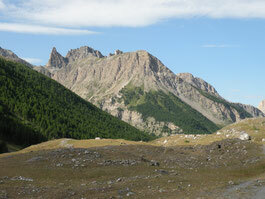 Home to seven great valleys and stunning peaks, Mercantour National Park is an amazing location to hike. As with any location in the Alps, you are guaranteed amazing views, alpine lakes, lovely flowers, mountain villages and Rifugios to provide respite. 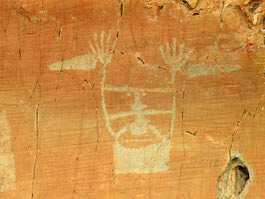 What makes Mercantour special is the historical magic in the Valley of Wonders. 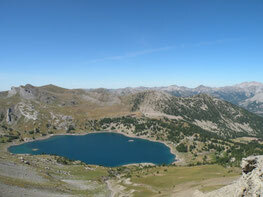 Would you have more information about the best 10 Hikes in Mercantour National Park? Click for a list of the 10 Best Hiking Trails. Given the extreme importance and fragility of this heritage, you can access the most important areas only accompanied by guides with the Merveilles Agreement, released by Parc national du Mercantour. If you desire, I can accompany you to discover this extraordinary cultural heritage, inside this great and exciting landscape. I am a self-taught ornithologist. A nature lover, I have worked in a Nature Park for about twenty-three years. Text by Luca Giraudo, translation by James Beauchamp. Unless stated otherwise the photos are by Luca Giraudo. If you find these photos useful and want to use them, please cite the author.